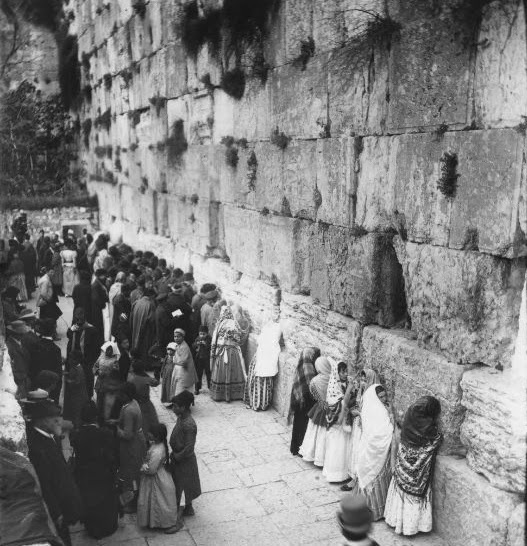 Scores of century-old pictures of the Western Wall have appeared in Israel Daily Picture. Known as the Wailing Wall, the Kotel HaMaaravi, or the Jews' Wailing Place, the prayer site was the focus of every photographer in Jerusalem. The original picture with the girls. Jerusalem. Any attempt to set up screens or bring chairs were met with protests and attacks. The Jewish worshippers honored a separation of sexes, for the most part. "The Jews' Wailing Place" (circa 1900). Take a closer look below. 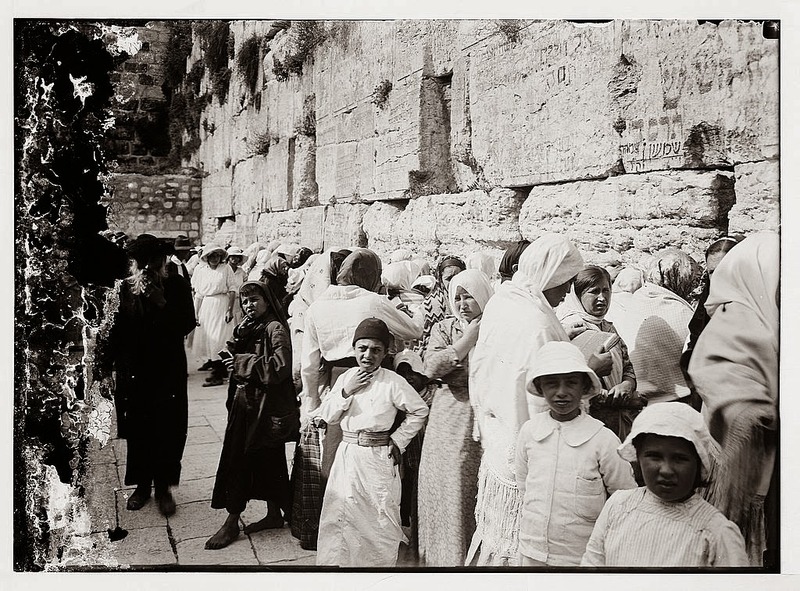 The picture below, from the University of California - Riverside collection, appears to be a typical picture of the Kotel at the turn of the 20th century, but it's not. 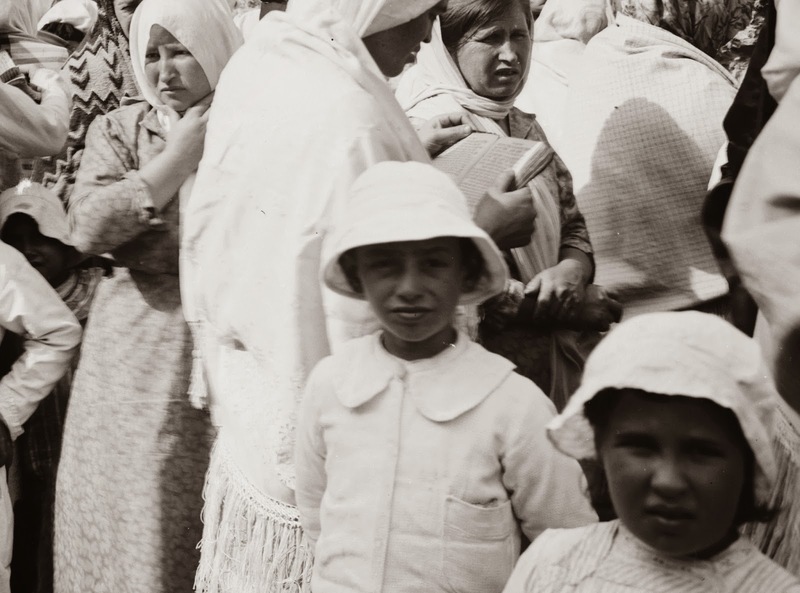 Enlargement of the photo shows a group of children begging with their hands outstretched to men on the left, men whose hats suggest that they are visitors from overseas. relied on charitable donations from Jews in Europe and North America. An earlier feature here showed hundreds of Jewish children in 1918 returning to the Old City from a field trip on the Jewish holiday of Lag B'Omer. Are some of these the same children? 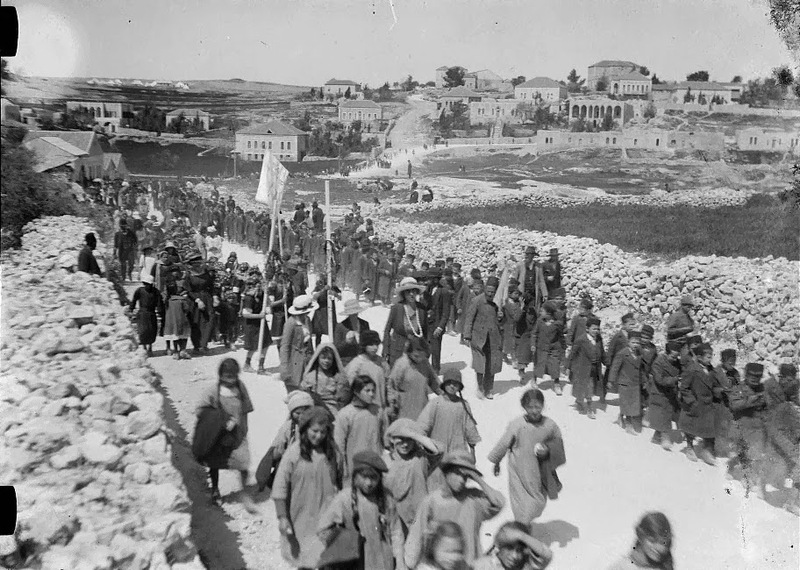 Jewish children's procession on Lag B'Omer 1918. Click on caption to view the original picture. Subscribe to www.israeldailypicture.com by entering your email in the box in the right sidebar.